When we measure thyroid hormones, the three most common markers are TSH (thyroid stimulating hormone), free T4, and free T3. While TSH has gotten plenty of press over the years, free T4 and T3 are actually more accurate indications of thyroid function. 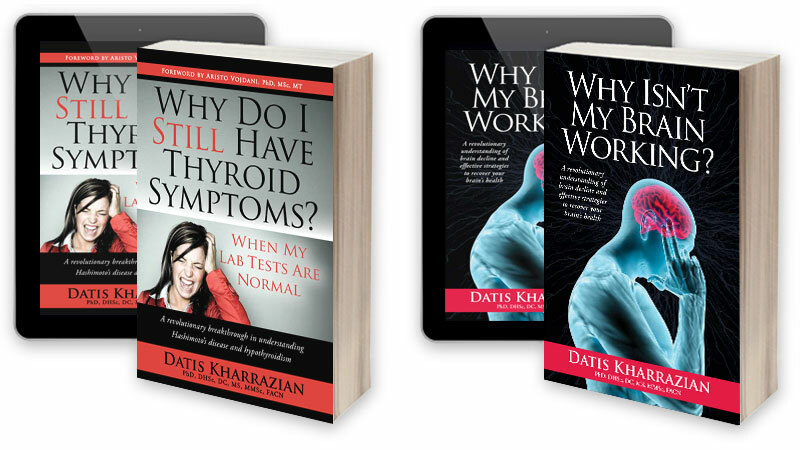 Knowing their roles in the body, and in particular why free T3 is so important, makes it easier to put the big picture together when trying to understand your thyroid symptoms and labs. Thyroid function is like a relay race, with hormones passing the baton from the hypothalamus in the brain to the pituitary gland beneath it, then to the thyroid gland, to the liver, and finally to cells throughout the body. The hypothalamus delivers messages to the pituitary gland via the chemical messenger thyrotropin releasing hormone (TRH). Once TRH delivers its message, the pituitary gland releases thyroid stimulating hormone (TSH). TSH goes straight to the thyroid gland where it triggers the production of a protein called thyroglobulin. The thyroglobulin joins up with four molecules of iodine to produce the thyroid hormone T4, or thyroxine. 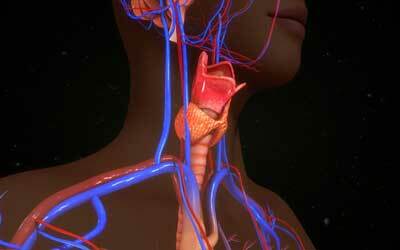 About 94 percent of the hormone made in the thyroid gland is T4. The remaining 6 percent is triiodothyronine (T3), named for its three molecules of iodine. These thyroid hormones hitch a ride through the bloodstream on thyroid-binding proteins, during which they are referred to as “bound.” When they are dropped off at the cells for active duty, they are called “free” hormones. Although the thyroid gland secretes only a little T3, it is the most active form the body can use. T4 must be converted to T3 before the body can use it. Most of this conversion happens in the liver, but also take place in cells of the heart, muscle, gut, and nerves. These cells convert T4 to T3 with an enzyme called tetraidothyronine 5’ deiodinase, which removes one molecule of iodine. In the end, only about 60 percent of T4 is converted into usable T3. Twenty percent becomes reverse T3 (rT3), an inactive form the body cannot use. Levels of rT3 can become too high in times of major trauma, surgery, or severe chronic illness. Another 20 percent of T4 can be converted to T3 by healthy gut bacteria in the digestive tract. Conversion of T4 to T3 is key for proper thyroid function and all the bodily systems that depend on it. Aside from the thyroid gland, the liver and gut are primary locations for conversion of T4 to T3 and places where breakdowns in this conversion can occur. The liver has several channels through which it metabolizes hormones, filters toxins, and cleans the blood. Byproducts from these processes are dumped into the gallbladder for final removal. Low thyroid function bogs down this whole process, making the liver and gallbladder sluggish and congested. And since thyroid hormones are converted into a usable form in the liver, you can see how hypothyroidism creates a vicious cycle of hindering liver function so that conversion of T4 to T3 suffers. In addition, when the liver cannot properly break down hormones for elimination, they can go back into the bloodstream in an even more toxic form than when they entered the liver. This is especially true with estrogen. Elevated estrogen directly affects thyroid function by hampering the liver’s conversion of T4 to active T3, and by creating too many thyroid-binding proteins so that thyroid hormones can’t get into the body’s cells. The intestines convert about 20 percent of T4 into T3, but only in the presence of enough healthy gut bacteria. We carry approximately four pounds of healthy bacteria in our colons. These bacteria serve many functions, one of which is to facilitate the conversion of T4 to T3. 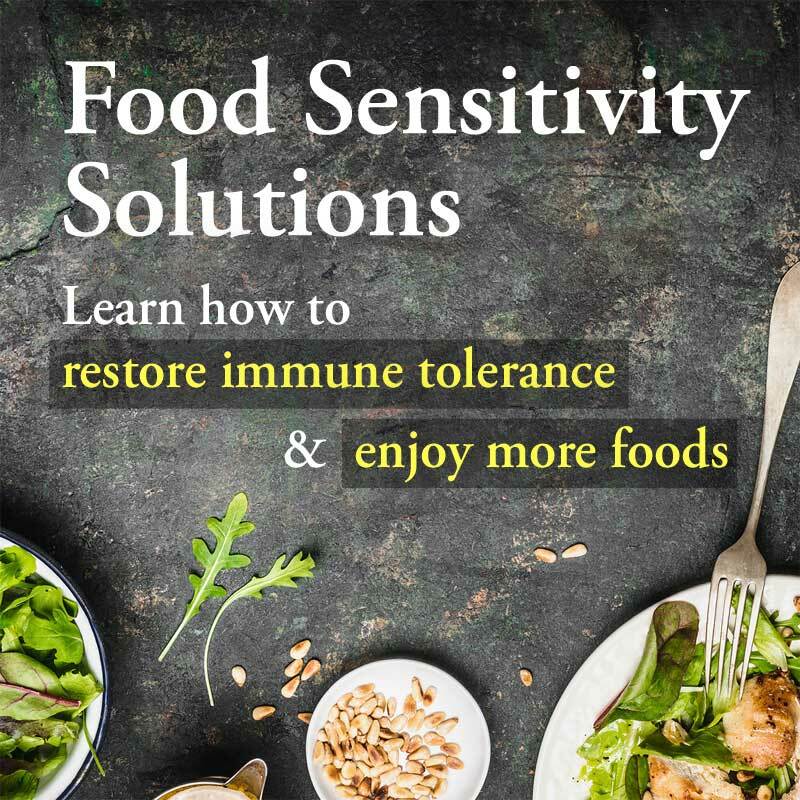 When diets are poor and digestion falters, an overabundance of bad bacteria occurs, crowding out the beneficial bacteria and hampering thyroid conversion. Can you see why something as simple as antibiotic use, which knocks out all gut flora, good and bad, can dampen thyroid function? You can read more here about supporting healthy gut flora. Gastric inflammation from dysbiosis (gut bacteria imbalances) or infection reduces active T3 in another way. 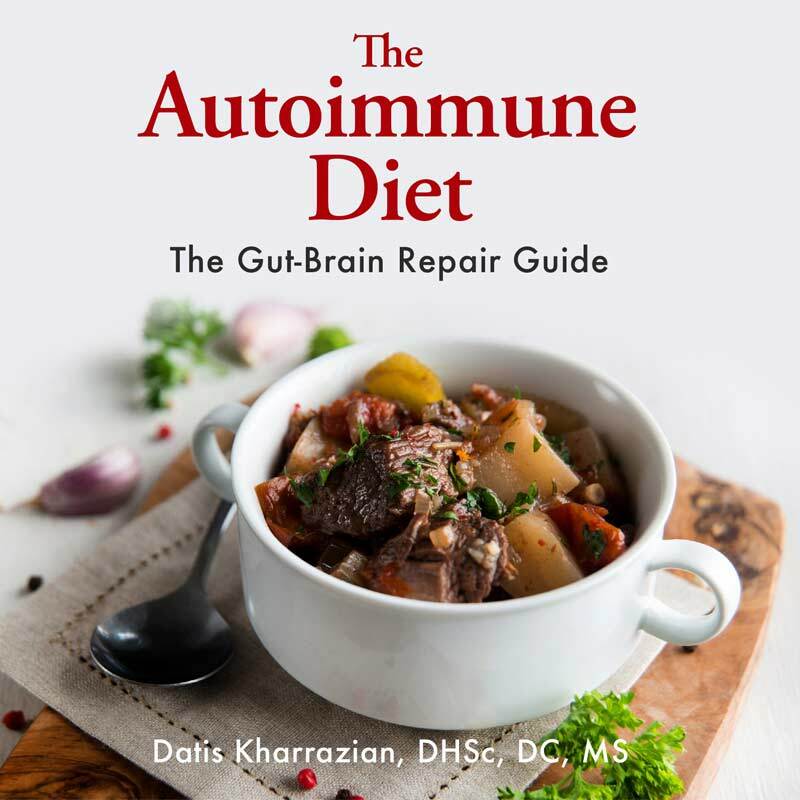 The inflammation creates an alarm reaction, causing the adrenal glands to produce more of the hormone cortisol. Cortisol may further decrease active T3 levels while increasing levels of inactive T3. In my thyroid book I cover what I call the 4-R Program or restoring gut integrity: remove, reinoculate, replace, and restore. The reinoculate phase helps restore healthy gut bacteria necessary for T3 conversion. Affecting communication between the brain and the hormone glands. Increasing thyroid binding protein activity, so that thyroid hormones cannot get into cells to do their job. Hindering detoxification pathways through which unnecessary thyroid hormones exit the body, leading to thyroid hormone resistance (the inability of cells to receive thyroid hormone). Causing cells to lose sensitivity to thyroid hormones. Resulting in excess production of the adrenal hormone cortisol. In this scenario, the body makes plenty of T4, but too much cortisol prevents the body from being able to convert enough T4 to usable T3. Inflammation from gut infections, chronic viral infection, Lyme disease, food intolerances, molds, or environmental compounds can disrupt the conversion of T4 to T3. Finding the cause of inflammation and improving antioxidant status are keys to support. Note: Inadequate conversion of T4 to T3 often isn’t diagnosed because a low T3 level doesn’t affect TSH levels. Make sure your practitioner is willing to test for Free T3 and T4 along with TSH. Deficiencies in the neurotransmitters serotonin and dopamine hamper conversion of T4 to T3 and slow down the brain’s communication with the thyroid. I write at length about neurotransmitters in my brain book. Anemia is a deal breaker for thyroid support of any kind, since anemia literally starves your body of oxygen. 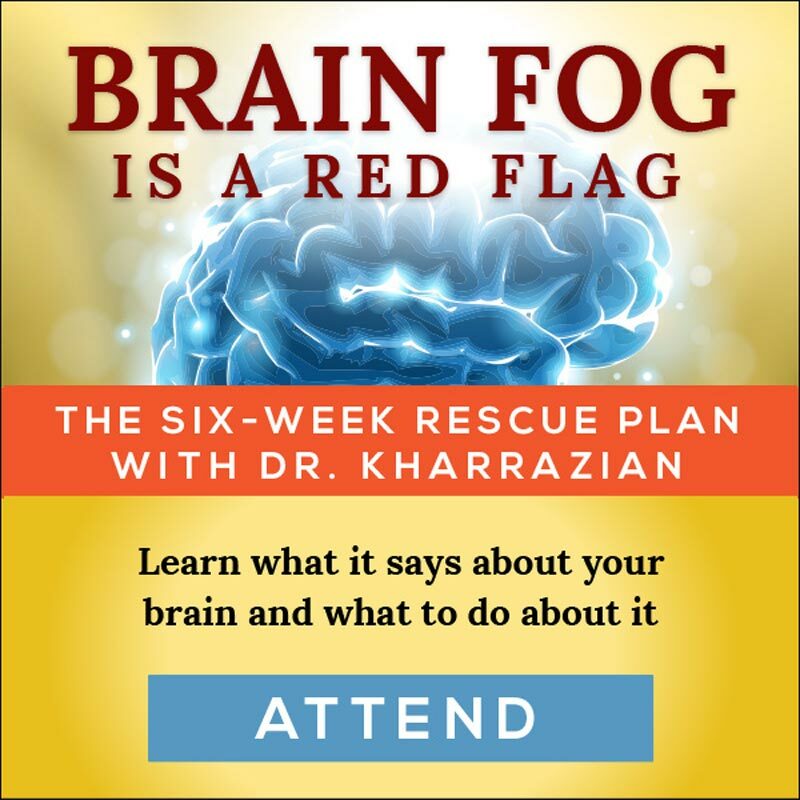 When your red blood cells are deprived of oxygen, basic functions that maintain, regenerate, and heal the body simply cannot operate adequately, if at all. A qualified health care provider should evaluate a person with anemia. Iodine, which is discussed in more detail in this article, has been shown to trigger autoimmune thyroid conditions, and will also exacerbate an existing autoimmune thyroid disease, such as Hashimoto’s. I consider it prudent to leave iodine out of a thyroid supplement. Tyrosine is an integral part of thyroid hormone production, but supplementing with it has the potential to suppress thyroid activity.Tyrosine will increase the adrenal hormones epinephrine and norepinephrine that create that wired, energetic feeling, which may feel like progress when a person has been plagued with the fatigue and fogginess of hypothyroidism. However, for the person in an elevated stress response, this stimulating effect on the adrenals will also suppress TPO activity and, consequently, thyroid hormone production, just as caffeine and other adrenal stimulants do. Note: when dopamine deficiency is evident, the judicious use of tyrosine clinically may be warranted. Entire books are dedicated to the subject of foods that support healthy thyroid function, so here I will simply mention a few noteworthy nutrients that support T3 and T4 production. They also support healthy thyroid hormone receptor binding and energy-producing metabolism, which is useful during low thyroid function. Porcine thyroid glandular is derived from Argentina in which the animals are range fed and are free of hormones and chemicals and exceed USDA guidelines. This provides high quality glandular tissue that contains the needed amino acids, fatty acids, co-enzymes, and other supporting material for the thyroid. Porcine glandular tissue, as opposed to other types of tissue such as bovine, is the best source to support the thyroid. Healthy hormone production, including the production of thyroid hormones, depends on essential fatty acids (EFAs). These nutrients can be found in cold-water fish and in many raw, unprocessed nuts and seeds. EFAs not only contribute nutrients for hormones, but also for proper cellular communication, brain function, and more. The ideal ratio between omega-6 and omega-3 fats in EFAs is estimated to be from 1:1 to 4:1. Sadly, the average American’s ratio is more like 25:1, thanks to diets heavy in processed vegetable oils. You can find more information on EFAs in my thyroid and brain books and on my website. Thyroid peroxidase (TPO) is the enzyme in the thyroid responsible for making thyroid hormones. It liberates iodine to be added to tyrosine for T4 and T3 production. This process involves many cofactors, including selenium, copper, magnesium, niacin, riboflavin, pyridoxal-5-phosphate (the active form of vitamin B6), and zinc. Make sure you are eating enough of these cofactors in food or via supplementation if you test deficient. Zinc. It has been shown that low zinc status compromises T3 production. Studies have also demonstrated that zinc supplementation improves thyroid hormone production. These effects may be due to the cofactor role zinc plays with type I 5’ deiodinase. Zinc may also play a role in reducing thyroidal antibodies. Vitamin A is another critical nutrient for thyroid activity. When a thyroid hormone binds to a cell’s receptor site, it sets off a series of biochemical reactions that carry messages to the cell’s nucleus. Vitamin A appears to influence how well the thyroid hormone receptors in the cell’s nucleus function. Commiphora muku (guggulu). The guggulsterones compounds in this herb have been shown to stimulate the healthy synthesis of T3 hormones. They also appear to have the ability to balance LDL cholesterol and decrease lipid peroxidation. Selenium is the major cofactor for the enzyme 5’ deiodinase, which is responsible for converting T4 into T3 as well as degrading rT3 (reverse T3). Studies have confirmed lower production T3 in individuals with lower selenium status. Withania somnifera (Ashwagandha) contains compounds that have been shown to have a stimulatory impact on both T3 and T4 hormone synthesis. Withania somnifera has also demonstrated the ability to modulate the release of harmful cortisol. Liposomal phosphatidylserine cream that delivers nutritional compounds to modulate the stress response, including 2000 mg a day of phosphatidylserine. As you can see, there are many factors that come together to either support or break down the body’s ability to properly produce the usable form of thyroid hormone, T3. Remember that supporting liver function and gut health are key, as well as making sure address any stress and inflammation that may be hindering conversion. I had a thyroidectomy a few years ago. I’m trying to find out all information on a natural way to convert T4 to T3 in the cells. I take Armor Thyroid 90mg. Are there other ways to convert if I was not able to get the Armor? I try to reduce stress, no gluten, very little sugar and carbs. Would I die if I could not get prescription medicine? I’m looking for an alternative to get T3 into my cells. Yes, you will die! You need that medicine since your body doesn’t produce thyroid hormones on its own anymore. You CAN talk to your doctor about different prescriptions, though, if you’re unhappy with Armor. There are many different options for you, but as your thyroid no longer works, you need to be taking SOMETHING. Your medicine is doing what your thyroid can’t. Best article i read until now. I have low TSH but signs of hypothyroidism and it confuses me like low body temperature. After reading this article i have better ideas of how the thyroid is working and what to focus on further on.